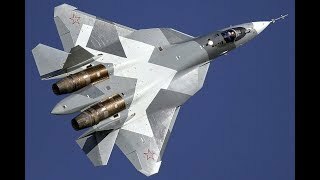 ﻿ WORLDS BEST 4th gen Aircraft Russian Su-35 Could they make the best 5th Gen Aircraft too? 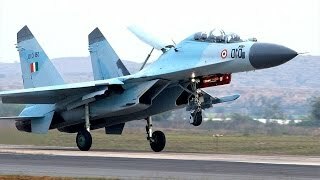 WORLDS BEST 4th gen Aircraft Russian Su-35 Could they make the best 5th Gen Aircraft too? The Sukhoi Su-35 (Russian: Сухой Су-35; NATO reporting name: Flanker-E) is the designation for two improved derivatives of the Su-27 air-defence fighter. They are single-seat, twin-engine, highly-maneuverable aircraft, designed by the Sukhoi Design Bureau and built by the Komsomolsk-on-Amur Aircraft Plant. The first variant was designed during the 1980s as an improvement on the Su-27 and was known as the Su-27M. This derivative incorporated canards and a multi-function radar that transformed the aircraft into a multi-role aircraft, which was structurally reinforced to cope with its greater weight. 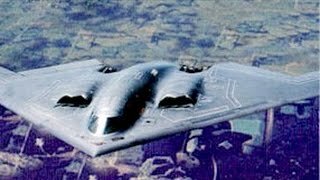 The first prototype made its maiden flight in June 1988. As the aircraft was not mass produced due to the Dissolution of the Soviet Union, Sukhoi re-designated the aircraft as Su-35 to attract export orders. The fourteen aircraft produced were used for tests and demonstrations; one example had thrust-vectoring engines and the resultant Su-37 was used as a technology demonstrator. A sole Su-35UB two-seat trainer was also built in the late 1990s that resembled the Su-30MK family. In 2003, Sukhoi embarked on a second modernization of the Su-27 to serve as an interim aircraft awaiting the development of the Sukhoi PAK FA (Su-57) program. Also known as Su-35, this version has a redesigned cockpit and weapons-control system compared to the Su-27M and features thrust-vectoring engines in place of the canards. The type made its first flight in February 2008; although the aircraft was designed for export, the Russian Air Force in 2009 became the launch customer of the aircraft, with the production version called Su-35S. 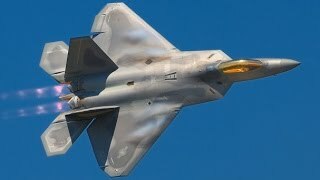 The Chinese People's Liberation Army Air Force and the Indonesian Air Force have also ordered the aircraft.